Hiring a good Raleigh Divorce Lawyer to represent you in a Child Custody Case in North Carolina can be as expensive as it is necessary. In my North Carolina Custody Law Practice, a permanent custody trial will cost anywhere from a $5000.00 for the simplest of cases to $25,0000 for complex cases. Settling a custody dispute is generally much less expensive of course, but sometimes it is necessary to take a case to trial. In most cases, however, you are going to be paying several thousands of dollars. Yes, custody of your children is the most important issue in your life, and you owe it yourself and your kids to hire an experienced custody attorney to help you succeed in a custody case, but you have to be able to pay for it, right? So, can your spouse be ordered to reimburse you for some or all of these fees? The answer is YES, sometimes. The issue of awarding attorney fees in litigation is governed by what is known as the “American Rule,” which essentially means that each party hires and pays for their own attorney. We do not have a “loser pays” legal system. This rule is very general of course, and the law allows exceptions so long as an award of another party’s attorney fees is authorized by statute. 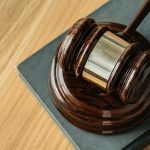 In other words, when our state legislature (in family law cases) passes a law dealing with the determination of an issue, as they have in child custody, child support, alimony, equitable distribution, and most other family law related claims, we have to look to that statute to see if an award of attorney’s fees is specifically allowed. Child Custody is codified in North Carolina General Statute 50-13 et. al., however counsel fees are addressed specifically in NCGS 50-13.6 which reads in pertinent part: the court may in its discretion order payment of reasonable attorney’s fees to an interested party acting in good faith who has insufficient means to defray the expense of the suit. Yes, we have the possibility for getting attorney fees from the other side! Now what? How Does Reclaimation of Fees Work? So, all we have to do is go into court, win the custody case, and explain to the Judge what a sorry (insert your pejorative of choice) the other side is and we get our attorneys fees paid, right? It can be argued that everyone in a custody case is acting in good faith so long as it’s a mom and dad who just disagree on custody, so what does this mean? It boils down to reasonableness in your pursuit of custody and litigation, and if you have done anything that could determined in bad faith, you could be barred from recovering attorneys fees. An example I use is if one parent grabs the child, refuses to allow any reasonable custodial time for the other parent, shows a complete disregard for the parental rights of the other parent and the bests interests of the child, then that parent is forcing a custody case to court. In my view, they should not be eligible to recover attorney fees. In the end it is up the judge to determine good and bad faith. Can You Afford Legal Services? Ok, so your acting in good faith. Just a parent trying to protect a child and family. Great. The next question is whether or not you can afford legal services? The courts will consider your income, assets, and your expenses. They will compare your finances with the opposing party and determine if you have the means to pay for your lawyer and whether or not the other party does as well. Clearly, almost every singly North Carolina Child Custody Lawyer is going to require payment in advance, so how can you show you cannot afford a lawyer if yours has been paid? All you have to show is that you cannot afford it. Most people wind up borrowing some money, or using credit cards to help pay for custody cases. Others cash out retirements to some degree or use separate savings. You are not required to deplete your own personal wealth before you can make a claim for attorney fees. For example, if you cash out $25,000 from a retirement account to pay for your lawyer, then that is evidence that you could not afford your lawyer any other way, and you would still be considered for attorney fees. Finally, you have met all the tests and you feel like you are in a strong position to recover attorneys fees. 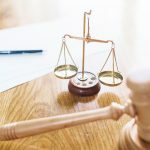 The most important word in the authorization for attorney fees for custody is of course “may.” In the end, the Judge will review the assets and incomes of the parties and make a decision. The Judge is not required to award attorney fees even if you meet the tests for attorney fees in the statute. In my experience practicing in Wake County North Carolina for the last fourteen years, I can say that Judge’s are much less likely to award attorney fees in custody cases than they are in child support or alimony cases. This is not to say it does not happen, but it is rare. The reasoning for a Courts hesitance to award attorney fees in custody cases lies with the idea that each party should be able to assert claims for custody without pressure to cave in to the demands of the other from fear of having to pay the others attorney’s fess. This is where reasonableness can really play a role. If you can successfully argue that the other party was using their superior financial position to take advantage of you in terms of custody, your chances of recovery are much better. In any case do not believe any lawyer that is bragging to you about how they are going to make the other party repay your attorney fees for custody, as such a result is far from guaranteed or even predictable. Plan on paying your own way for custody at least, but have your attorney seek attorney fees nonetheless. I am sure you don’t need me to tell you how important the custody of your children is. You can recover your financial investment, but you cannot recover missed time with your kids. Working to a positive resolution for your the custody of your children is our main focus. If you need support for your custody case, give our Raleigh family attorneys a call or complete the online contact form below.